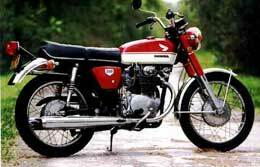 So, I have been having tons of fun restoring my C70 these days, and still love it, but I have my eyes on a new (old) bike… a Honda CB350. These were apparently very popular in the early 70’s, and tons of them were sold here in the States. I see ads for them every so often, prices ranging from “free” to $1,500 for a close-to-perfect specimen. I am interested in a “runs, but needs some work” condition model. 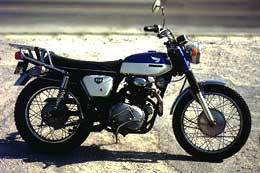 The motorcycle itself is not really a sought-after classic, but I like the look of it, and it’s small, light. Plus, parts are readily available on ebay, with more availability and cheaper than C70 parts. My thinking at this point is that I need to get fix the C70 to as good a condition as I can, then sell it to fund my CB350 project. It’s funny, but a nice C70 sells for pretty good money. I think I would be able to get $1,000 for it. By my estimate, I have put a grand total of $500 into it, including buying the bike itself. At any rate, to do more restoration on the C70, I need to wait until we are in the new house, so I can unpack all my tools and C70 parts. Plus, we will have a 2 1/2-car garage, which means more room!!! So, this project will have to wait until 2006. In the meantime, I still have some things I can do to the C70, like work on some electrical issues.